How are all of you! Here is the new video upload from the Budo Ryu; School of the Warrior Way! Please after you watch the video, if you could; please follow the link over to youtube and click the “like” button under the video. This helps promote the school and gets much better exposure and higher ranking in the youtube search engine. THANK YOU! Thank you all for your wonderful support of the Budo Ryu; School of the Warrior Way! I wish you all the best. this video promo is of the Goshinjutsu Workshop 2012 DVD that will be released by the Budo Ryu –School of Warrior Way. In this event we looked at the raw reality of self defense. There are so many schools that do not focus on this, they only focus on strictly kata, or understanding of. In this school of martial training we train to defend ourselves, family, village, and ryu by all means necessary. 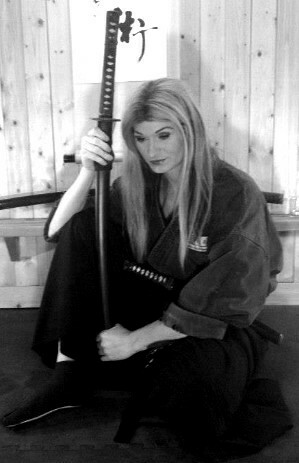 Ninjutsu is the art of survival, we train so that we can survive and live our lives the way that we want to live our lives to make us and our loved ones happy. I hope that you all enjoy the video, if interested in the DVD it will be released in the Ninjutsu Super Store! Good Luck in your Journey of Budo!